A senior executive with over 20 years experience leading organizational effectiveness to propel growth and profitability within IT, Engineering and Technical. Lori has been recognized the last two years by SIA Global 150 Power Women, Top 50 N. America. 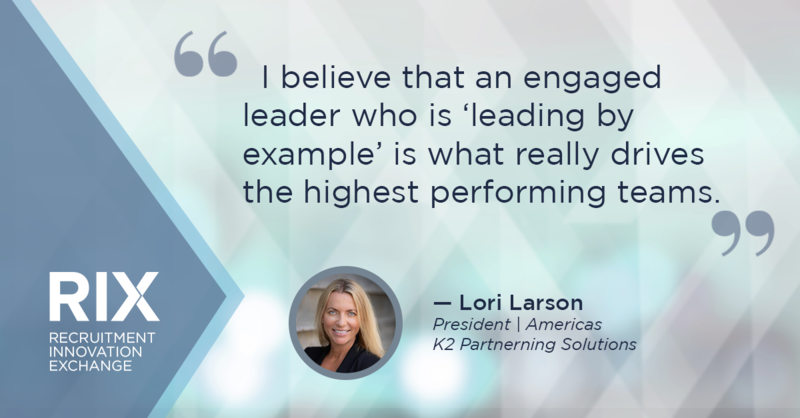 Bullhorn’s Vice President of Global Enterprise Strategy & Operations, Leah McKelvey, recently sat down with Lori Larson, President of the Americas at K2 Partnering Solutions for a conversation on how Lori’s 20-year journey in the recruitment industry led her to the C-suite. 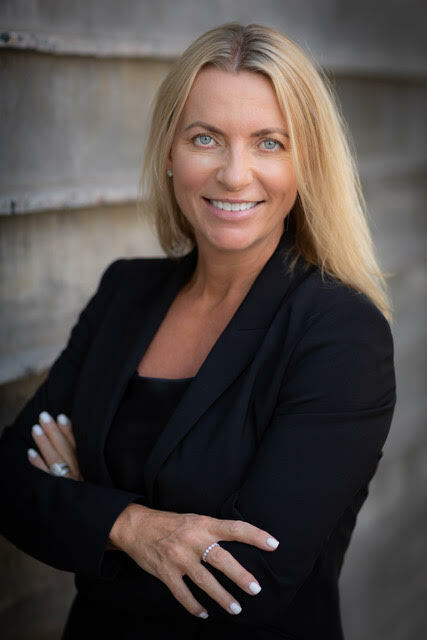 Lori also discusses K2’s reskilling initiative, K2 University, and offers advice for companies going through an acquisition. What did your path to your current role look like? My path has been a 20+ year journey that mostly speaks to a traditional path of encompassing career progression, moving to roles of increasing responsibility within the industry over time which I think it one of the best ways to be within the C-suite of our complex industry. I am blessed to have had key mentors along the way and most importantly that I was able to truly be engaged in all aspects of the recruitment industry. I believe that an engaged leader who is ‘leading by example’ is what really drives the highest performing teams. I have found that balancing life outside of work is something that I continue to struggle with, yet I love what I do and pour 24/7 into success and that ultimately comes from the success of all of those around me. I do live the “work hard, play hard” mentality – and we have a lot of fun! Now that you’ve moved to the C-suite, what do you have planned for K2? The most important first step I can take in my new role is to listen, listen, and listen some more…. After that, I can begin communicating with collaboration and trust building. My focus is on building that elusive ‘Dream Team’ – for real. I consider all employees to be part of the Dream Team, whether they are short- or long-term, I want them to know that they play an integral part of something more significant. My reward is seeing them succeed and find happiness, much like I have had over my career. This has always driven significant growth and success for the teams and companies I have been fortunate enough to lead. As I look at plans for K2 in collaboration with the executive board, we are working tirelessly to continue to elevate K2’s position with our three key horizons that truly rival our competitors and drive constant innovation, something that is critical in our industry. One of those areas is helping our clients go beyond the traditional Uber like skill matching to fully understand how to connect with human capital in the cloud. We are investing in this human capital through upskilling, which is core to our company, not simply an add-on value along with modernization. Talent at our clients’ fingertips enables them to compete with rapid scalability by leveraging technology teams anywhere in the world from K2. If you were inside the walls of K2, you would feel what I feel and it feels pretty darn amazing. K2 is built on smart, passionate, and inspirational teams working hard, yet playing even harder while surpassing our clients demands. Can you tell us about what K2 University is and how it works? One of my driving forces for joining K2 was K2 University. It’s a game changer for our valued consultants and clients while also driving future talent. With the enterprise technology market always changing, K2 University works with our community of enterprise software professionals to help them maintain their skills, transition to growth technologies, and achieve the certifications that customers are increasingly demanding. As the leading global consultative solutions provider in the enterprise technology space, K2 also works with software end-users and system integrators to ensure their employees have the proper skills to deliver today’s products efficiently and bring success to their businesses faster and more cost-effectively. A degree does not guarantee a job when a student graduates. K2 works with universities to maximize the employability of their graduates by helping students get the specific skills they need to succeed in today’s digitally transformed enterprises. We offer career advice, upskilling, new training, and certify and place within our global client network. With locations on five continents, how does K2 work so seamlessly across so many deals? We now have 22 brick and mortar locations along with several other on client locations of which all are growing rapidly. After 20+ years working within the recruitment industry in global environments; K2 is quite impressive. K2 has a very unique culture of complete inclusion and amazing teamwork which is part of K2’s DNA. All of our associates are incentivized (founded by a salesperson and still led by a sales-minded team) to reward all. Our teams leave the executive board impressed every day on how we truly are a seamless global company and our expansion, growth, and clients prove it. We leverage typical SW solutions to help us achieve the seamless client and consultant engagement, what is our secret sauce? We move and flex together as one, not as individual countries or offices. We do what is best for our clients and consultants with real-time communication built in our proprietary human cloud tool K2 Konnect. What is your advice for others going through an acquisition? Acquisitions are a reality in any market or industry and I think many of us see it as such a scary thing. Therefore, it’s always kept so quiet. I think the opposite should happen; communicate and communicate again. Acquisition fears can tremendously hurt a company with staff not engaged and looking for work; when in reality the acquisition will have minimal impact on any of the teams that are in place. Look at unemployment and demand, companies buy companies for their talent. Companies are successful because of the talent. My situation was unique during my former role in which I was at the forefront and table working on the acquisition and integration, and randomly got headhunted. I wasn’t looking, nor was I going anywhere with the acquisition as I had a very big role in front of me, yet K2 had more of what truly drives me and I could not resist this new challenge.